BMW M GmbH is expanding its high-performance model line-up to include models in the mid-size Sports Activity Vehicle (SAV) and Sports Activity Coupe (SAC) segments for the first time. The BMW X3 M and BMW X4 M set the benchmark for dynamic excellence, agility and precision in their respective classes. 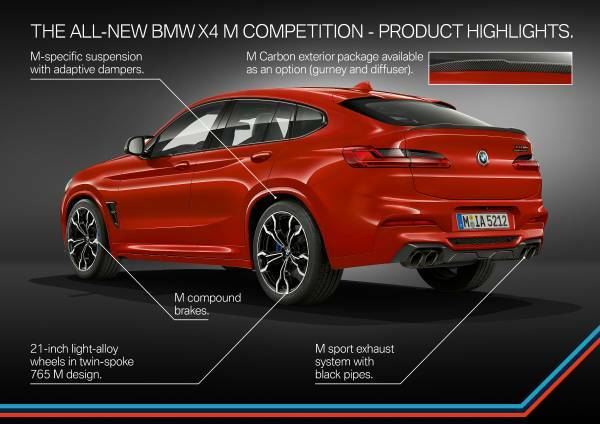 Also new is the launch alongside the BMW X3 M and BMW X4 M of their Competition siblings. 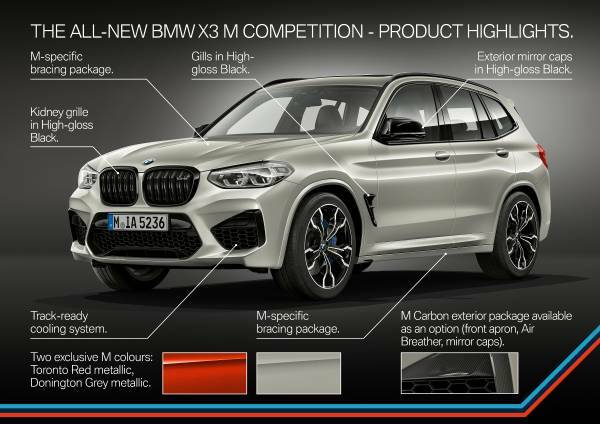 The BMW X3 M Competition (fuel consumption combined: 10.5 l/100 km [26.9 mpg imp]; CO2 emissions combined: 239 g/km*) and BMW X4 M Competition (fuel consumption combined: 10.5 l/100 km [26.7 mpg imp]; CO2 emissions combined: 239 g/km*) will capture customers’ imagination with their extra power and exclusive appointments. 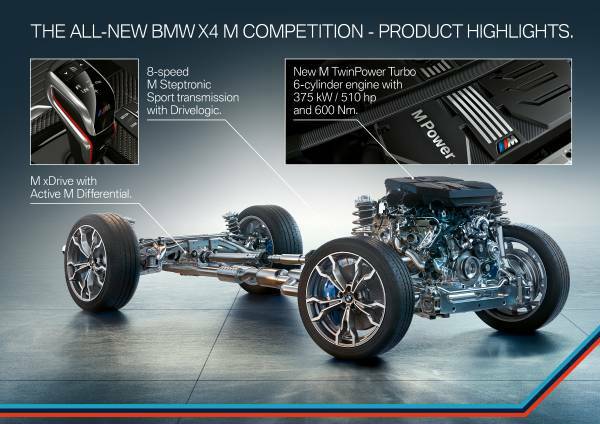 The new high-performance engine teams up with an eight-speed M Steptronic transmission with Drivelogic and uses the new M xDrive all-wheel-drive system, which made its debut in the BMW M5, to channel its power to the road. 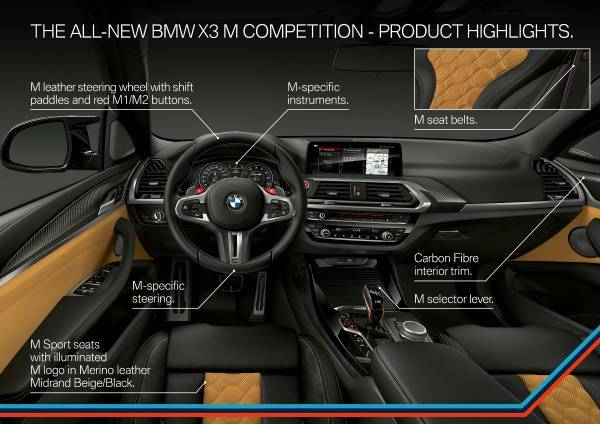 The M xDrive system has a rear-wheel bias and offers BMW X3 M and BMW X4 M owners two AWD driving modes. The centrally controlled interaction between M xDrive and the Active M Differential at the rear axle allows the all-wheel-drive system to split the engine’s power between the four wheels as required to deliver optimal traction, agility and directional stability. 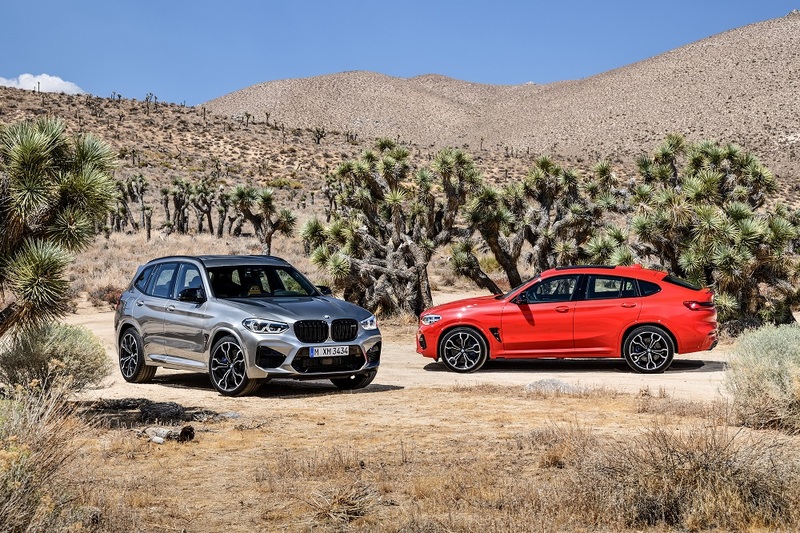 The BMW X3 M and BMW X4 M both sprint from 0 to 100 km/h (62 mph) in 4.2 seconds, while their Competition variants hit 100 km/h (62 mph) from rest in just 4.1 seconds. M-specific chassis technology provides sublime dynamics.